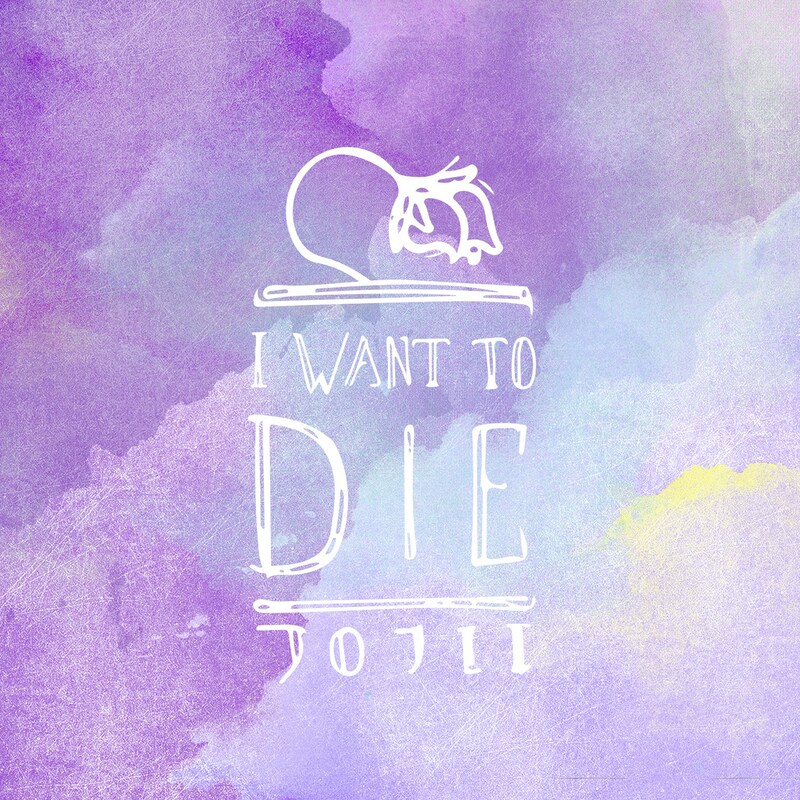 Jojii’s I Want To Die is a study in contradictions: emo and pop. Grit and pathos. Bold and open-hearted romantic longing played against the dirty residue from “a summer of reckless drug use, pill abuse, heavy alcoholism, self-abuse, and neglect.” Birthed in the Torontonian DIY-alternative scene, his music runs in the sort of airy, distortion-rarefied circles as modern alt-gazers like DIIV and Kidcrash, with significant influence from the crunchy 90s school of tight, tense emotional rock a la Superchunk or Nada Surf. Early album highlight “Be Well” encapsulates a lot of his sonic signatures in one comprehensive stroke: full, propulsive arrangements supporting fragile, near-breaking vocals, lots of lyrics about waiting and breaking and all those messy things that happen in between. The album’s balance between twinkling melodic passages (of the kind showcased on “Unsure”) and wrung-out crunch and bite make it a transitional object at heart: one that sees its creator moving from one phase to the next and working out what appear to be a lot of demons in the process. “Lost” throws around buckets of sludgy, tonal grind, and “No” conjures up a metallic Asphodel field of shoegaze noise, but I Want To Die is on its best footing when it approaches emotive alt-rock in the vein of “Barely” and the earlier “Be Well,” with one foot in the spiritual and cathartic power of vocals and drums and the other planted in searing alt-pop riffs.